Garlic (Allium sativum) has been used as a flavoring agent, condiment and for medicinal purposes. 1. 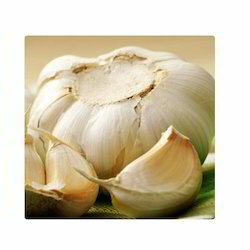 The garlic extract have the function of inhibitor and kill the bacteria. It can inhibitor the reproduce of the E-Coil and salmonella effectively. We offer hygienic and naturally grown Garlic Extract in our extraction procedure, which enables optimum purity and flavor for the processed outcome. These extracts are processed using advanced lab facilities so that purity and quality could be achieved and maintained up to set industry standards. We are a leading manufacturer of Garlic Extract (Allin/Allicin). Action / Uses: Anti rheumatic, Antibacterial, , Expels worms, Controls Sores, Pimples, Acne and Skin Healing.